Join TOR Wines’ own Master of Wine, Matt Deller MW on November 15, 2018 for Carnegie Hall’s fourth Taste of Oakville event. 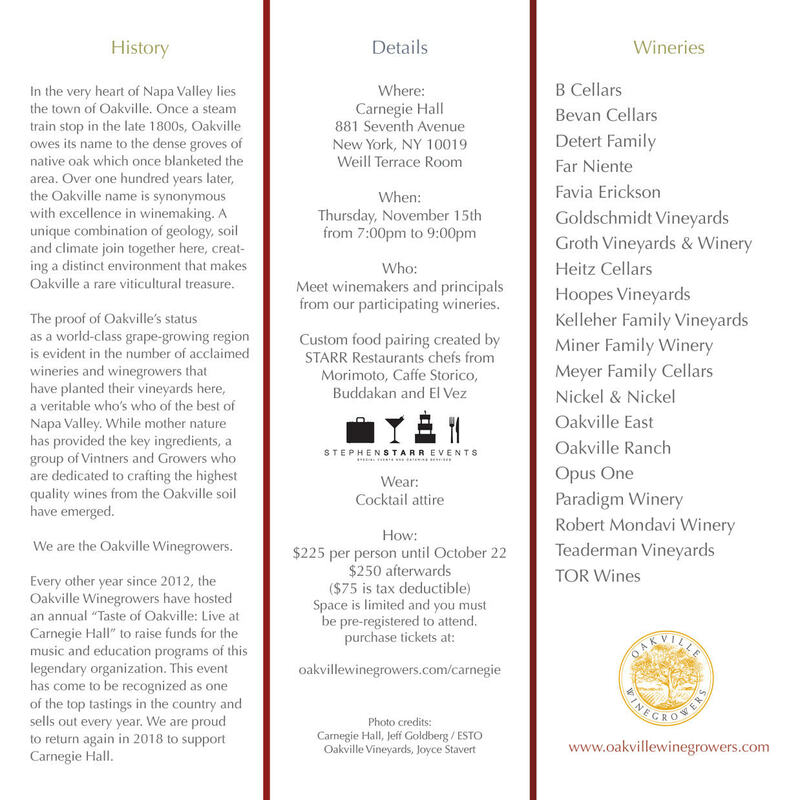 Oakville Winegrowers member wineries bring their acclaimed Taste of Oakville Napa Valley event to New York, with delectable pairings from Stephen STARR Restaurants. It’s a “performance” you don’t want to miss. This benefit evening will be a terrific celebration of the member wineries of the Oakville Winegrowers Association, representing some of the finest wines from Napa Valley’s most exclusive grape-growing appellation paired with tastes from Stephen STARR Restaurants. The early-bird price is $225pp until October 22nd, 2018, then $250pp after that date. Oakville Winegrowers will donate a portion of the ticket proceeds to Carnegie Hall to support their music education and artistic programs. See you in NYC!